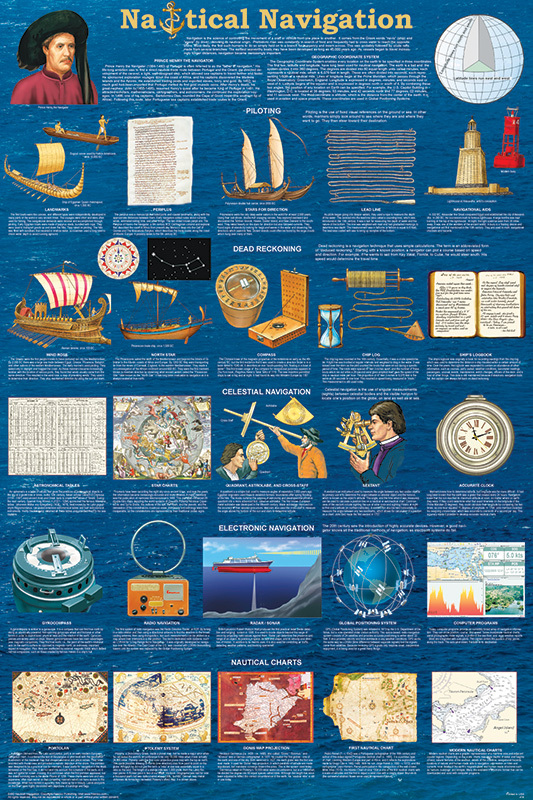 This informative poster traces the science of nautical navigation from its primitive beginning through the modern electronic age. Although theory is well covered, the emphasis is on practical application. The goal of navigation has always been to safely take a ship from one place to another. The first mariners followed the coast and relied on landmarks. The first known navigational aid was the giant lighthouse built by Alexander the Great over 2,000 years ago. Many more would follow. By the 16th century, important channels were marked by buoys. Early mariners relied heavily on the position of the sun and stars to determine their position and direction. They observed the wind and tides. They learned to determine their position with regard to coasts by taking soundings of the water depth. They developed the log line to determine speed. Navigators have always needed to know position, direction, speed, water depth, and other things. 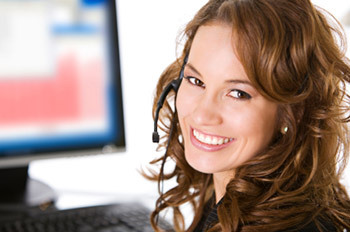 Advances in knowledge and technology have simply provided better means of determining them. A modern-day navigator relies heavily on electronic instruments, but wise ones also know all of the timehonored techniques, which they can use to double check instrument accuracy or utilize if the electronics malfunction or fail.